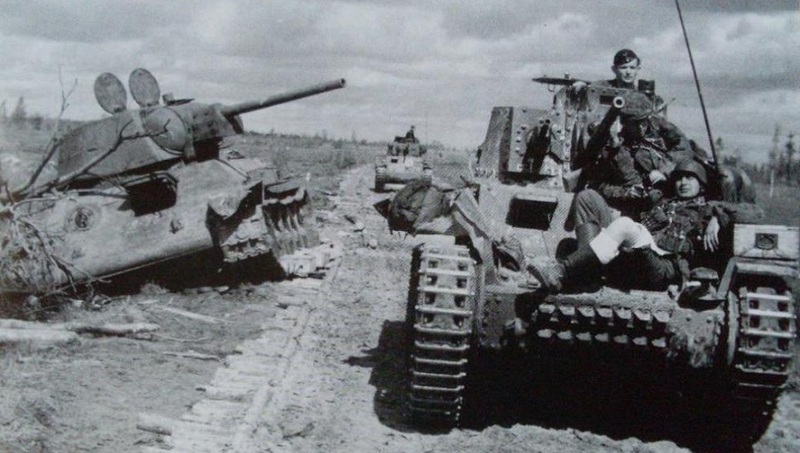 Two Panzer 38(t) tanks passing a knocked out Soviet T-34/76 in 1942, on the front of the first tank a wounded German soldier is hitching a ride. 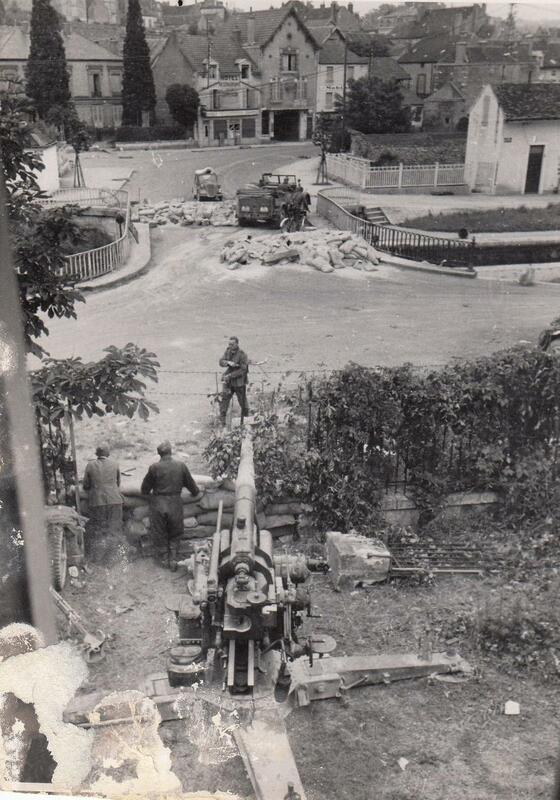 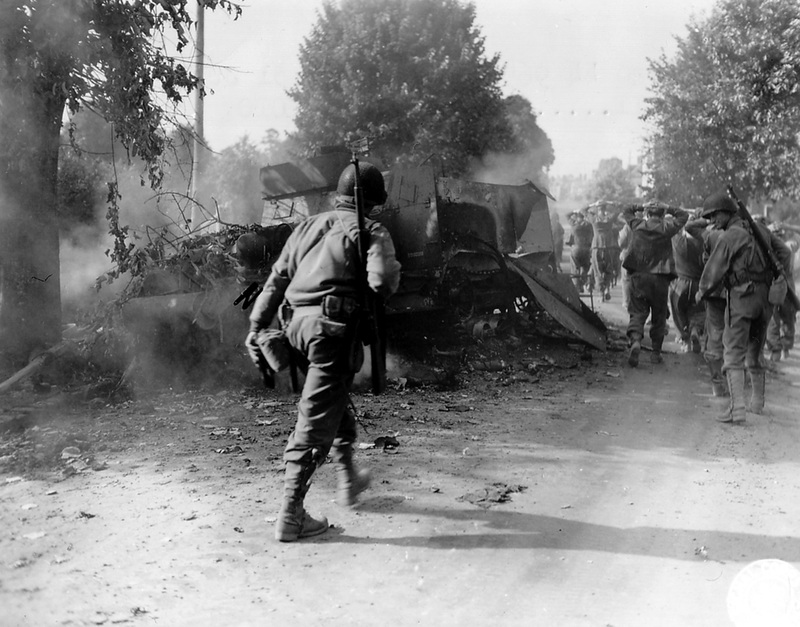 France 1944, US infantry and German POW’s march past the remains of a US M3A1 torn apart. 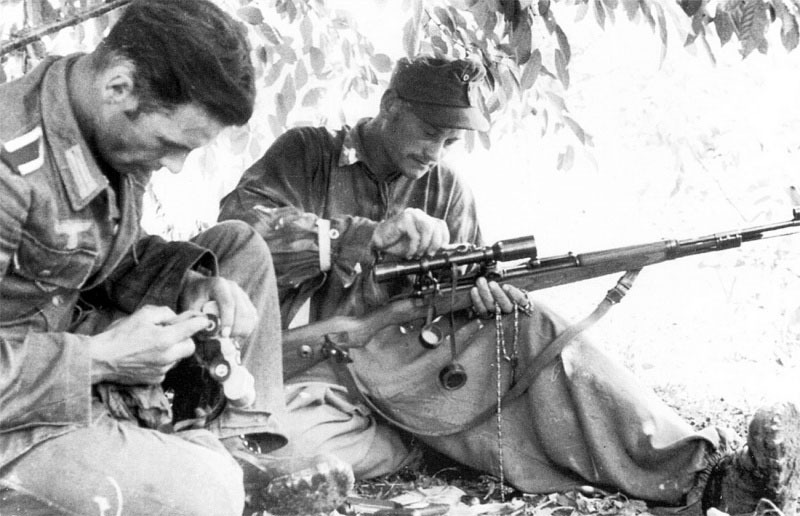 The M3A1 was a M3 with the improved M49 machine gun ring mount over the right hand front seat. 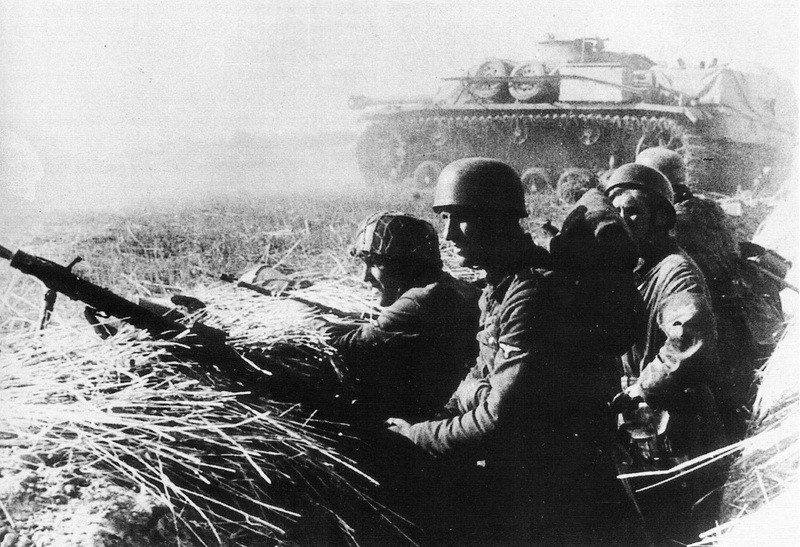 All M3 halftracks were continually upgraded to M3A1 versions throughout the course of the war. 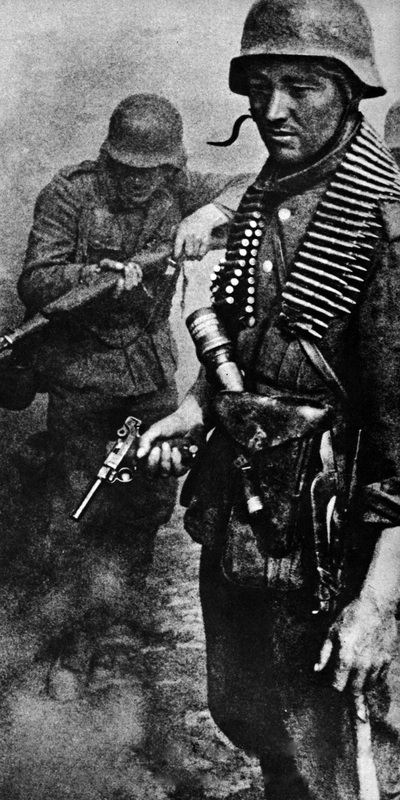 Leibstandarte personnel firing their Kar 98 bolt-action rifles and a captured SVT-40 during Operation Barbarossa in 1941.